Takayama is easy to access from the main cities of Honshu like Tokyo, Nagoya, Osaka or Kyoto. The train is the best way. Here are all the details. The train is best way between the main cities of Honshu (Japan’s main island) and Takayama. Here are the most important facts. The train is the best way to get to Takayama unless you’re coming from Kanazawa, in which case a bus is your best bet. Takayama is located in central Honshu (Japan’s main island), a short distance west of the main part of the Japan Alps. It’s about 240km/150mi northwest of Tokyo, 118km/73mi north of Nagoya, and 184km/52mi northeast of Kyoto. Takayama is on the JR Takayama Main Line, which runs north from Nagoya. 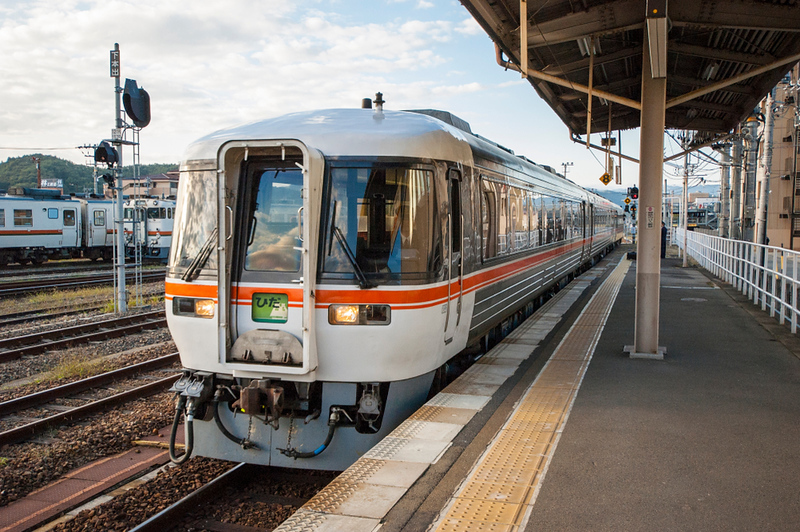 If you’re coming from the main cities of Honshu like Tokyo, Kyoto or Osaka, the best way is to take a shinkansen on the JR Tokaido Line to Nagoya and then switch to a Hida Wide View Express train that does the journey between Nagoya and Takayama in about 2 hours and 30 minutes. Do not take a local train as it takes about twice as long! There’s about one train an hour during daylight hours. You can usually get a seat in the unreserved car, but I recommend reserving a seat if you’re traveling in peak travel periods (May and the New Year’s period). See the Takeaway section above for fares and travel times. If you’re coming from the Kanazawa, then a bus is the best way to get to Takayama. Buses run from the bus terminal outside JR Kanazawa Station and the bus terminal outside JR Takayama Station in about 2 hours and 30 minutes and cost Y3,390.